As the Russian Ambassador to China Andrei Denisov said on Wednesday in a conversation with Russian journalists, the parties can reduce the minimum number of members of the group for visa-free tourism to three people. "We are now approaching the completion of a new agreement on visa-free tourist exchanges, in itself a very convenient form, which is still being discussed, but the question is that it might be possible to reduce the minimum size of the tourist group," he said. "Now the minimum size of the group is five, but if the family travels, in general family tourism is the most preferable form, then it is usually three people, so if we agree and [the number of tourists in the group] will be reduced to three people , it will contribute, among other things, to an increase in the volume of family tourism on this channel, "the ambassador said. "Regarding the facilitation of visa formalities as such, it's probably completely impossible to get away from them until we are ready, neither Chinese nor our side, and here we can raise the issue of either further softening or better use of the opportunities that the current regime already provides ", Denisov stressed. According to him, from January to October, Russia was visited by about 1.25 million Chinese tourists. "Of these, almost a million - through the channels of the so-called visa-free group tourism, but our tourists are still more," he said. "In the same 10 months, 1.5 million tourists visited China, including about 320,000 people on the basis of visa-free travel. As you can see, more than a million are individuals, which can not but rejoice because it is testifies to the interest of our people in China, "the ambassador summed up. According to the chairman of the commission for the support and development of inbound tourism of the Public Council of Rosturism Ivan Vvedensky, according to the results of 2017, not less than 1.54 million Chinese citizens will visit Russia for tourist purposes, which is 20% higher than last year. According to the existing agreement on visa-free group tourist trips, signed between Russia and the PRC on February 29, 2000, without formalizing any documentary formalities, five people or more headed by a representative of the guiding tourist organization can cross the border of the two states by providing a foreign passport. The term of visa-free stay of citizens of one country in the territory of another country must not exceed 30 calendar days. 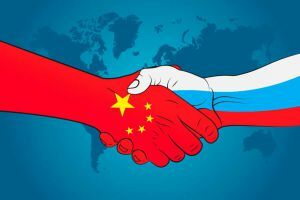 The Russian Federation and China undertake to timely exchange through diplomatic channels the samples of the seal of the coordination bodies and tourist organizations. The latter are responsible for the timely return of members of tourist groups from abroad.